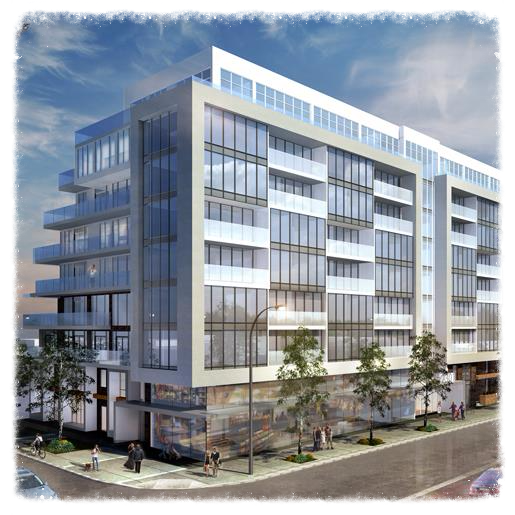 Canvas Condos is a new condominium development currently in pre-construction at 2301 and 2315 Danforth Avenue in Toronto, Ontario by Marlin Spring Developments. 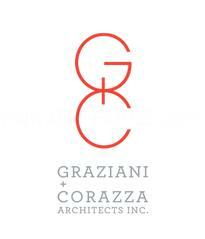 It is a proposed 8 storey mixed-use building with a total of 166 residential units designed by Graziani + Corazza Architects Inc. Marlin Spring Developments is also selling WestBeach Condos. 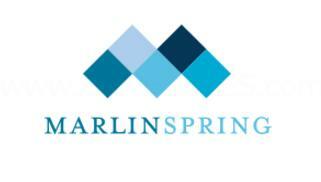 Register here today for all new condo projects by Marlin Spring Developments. Canvas Condos is located at the southwest corner of Danforth Avenue and Morton Road in Toronto and currently has an existing three-storey mixed-use building on site containing a Wise Guys Deluxe Grill & Bar located at ground level and 14 rental housing units on the second and third floors which were all vacant at time of application. Marlin Spring Developments is also proposing to replace these rental units in the new development. This building along with the building beside it located at 2315 will both be demolished in preparation for the Canvas Condos. There are also two levels of underground parking proposed for 100 vehicular parking spaces with access from a public laneway in the rear of the site along with 166 bicycle parking spaces. Of the total 166 dwelling units proposed, 103 will be one-bedroom units and 59 will be two-bedroom units. This 8 storey buiding will about 27.3 metres in height with a total residential gross floor area of 12,309 square metres and a total retail gross floor area of 259 square metres. Canvas Condos Condominiums is located in the Woodbine-Lumsden neighbourhood of Toronto right beside the Danforth Village and the Upper Beaches neighbourhoods. 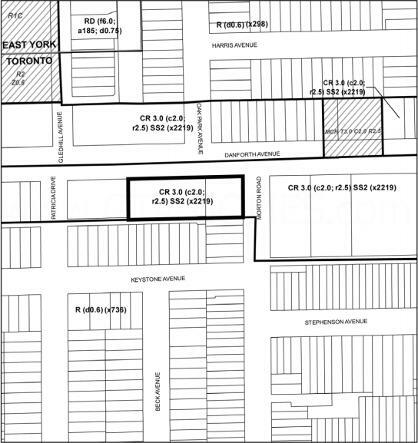 This area was voted as the Toronto's "top 10 neighbourhoods for high-return real estate" from Toronto Life in the June 2013 article. It was considered the "perfect compromise between city and suburb" and has a mixture of bungalows and renovated two-storey homes. It is also considered one of Toronto's safer neighbourhoods with low crime rates. Canvas Condos is located on Danforth Avenue between Woodbine Avenue and Main Street. It is located near accessible public transportation with both the Woodbine and Main Street subway stations situated nearby as well as the Danforth GO Station. This new residential development is also located near the Toronto East General Hospital and is approximately less than 3 kilometres away from Woodbine Beach and Ashbridges Bay Park where you can see yearly firework displays and walk along Lake Ontario. Located near shops, restaurants, parks and schools. The Canvas Condos Floor Plans and Price List will be available soon. Please call or complete the registration form to get all the info and to register now for the Platinum VIP Preview Sales Event. 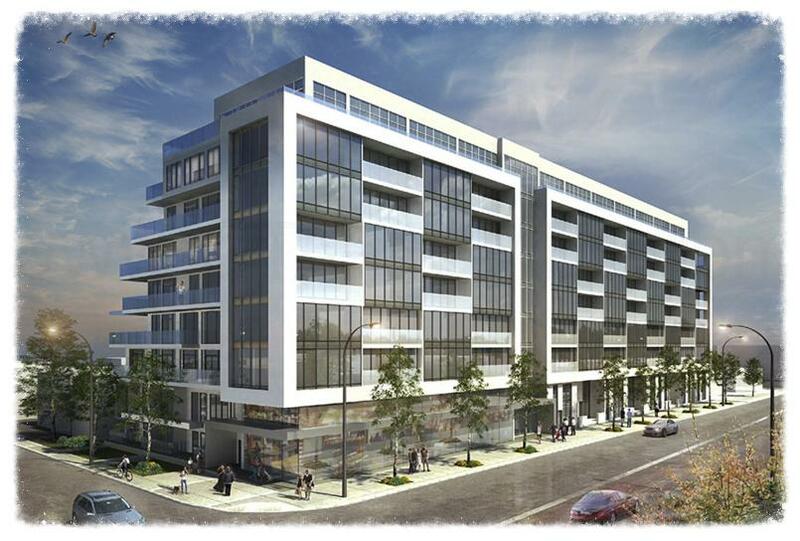 For more information, please register today for the Canvas Condos.